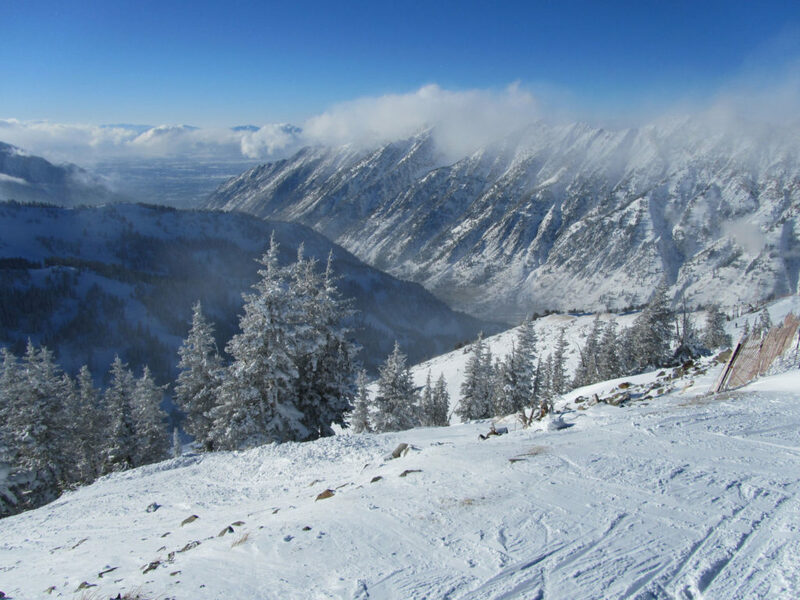 Snowbird Utah is amazing for a luxury ski vacation, with tons of terrain, plenty of vertical, a base to summit Tram, a panoramic mountaintop lodge and a luxury Cliff Lodge and Spa at the ski village base. 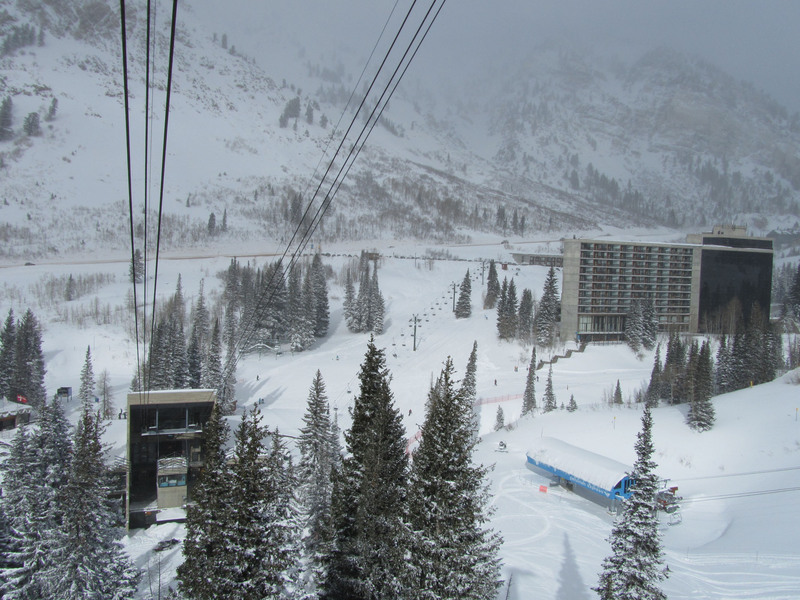 Snowbird gets ton of snow, the greatest snow on earth in fact (Utah trademarked it). 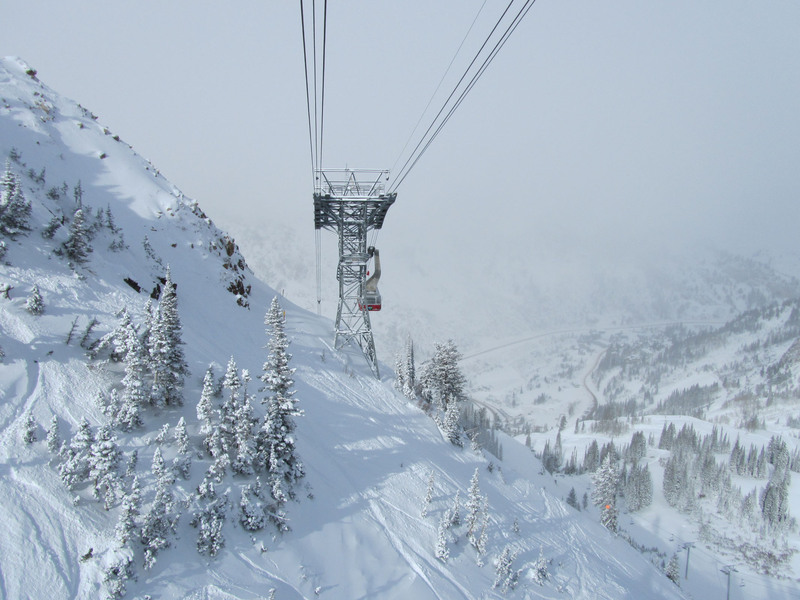 Snowbird’s ski season is long, mid-November to mid-May. 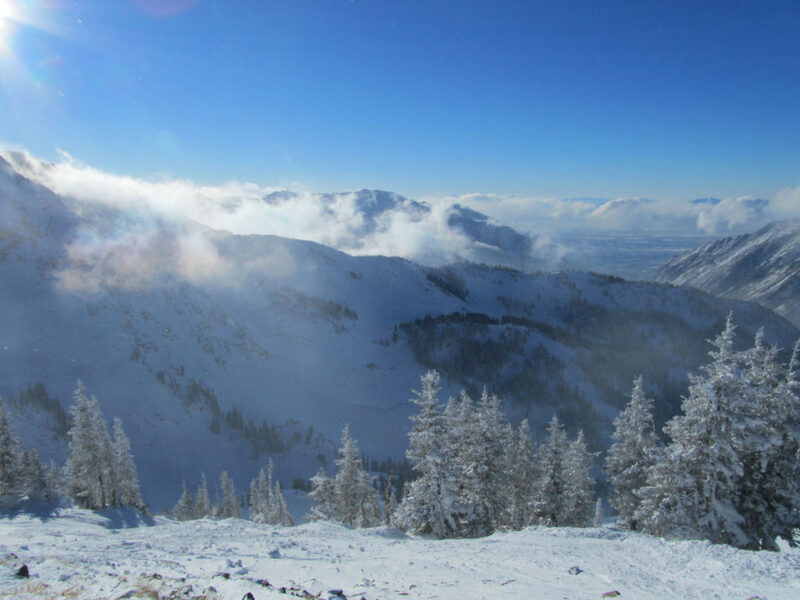 Snowbird and Alta connect for almost 5,000-acres of alpine ski terrain, from the steep cirque bowl to well-groomed trails, wide open bowls on the back side and interesting trails and a few wild chutes on Alta’s side too. The Cliff Lodge is Snowbird’s luxe ski lodging, a 10 story hotel, best described as glass and concrete, with magnificent views of the Wasatch Mountain range. The Cliff Lodge is ultra-convenient, with lockers on ski slope level to store your skis and dry your boots and gloves. You can walk to the slopes and the Snowbird Center – where ski shops and cafes are clustered along with the Tram loading area. Après ski at Snowbird, the Cliff Lodge top floor Spa offers massage and treatments, a rooftop pool and Jacuzzi – all with a view. Or go to Aerie Restaurant and Sushi Bar on the Cliff Lodge’s 10th floor for food – fresh fish in the mountains of Utah, drinks and music at 8,500’. Snowbird’s Tram Bar, literally in the Tram base station, is the place for late night dancing, billiards, and sports on the big screen. But remember, first tracks in Utah’s trademark “Greatest Snow on Earth” are rewarded to those on first Tram, not last call at the Tram Bar. 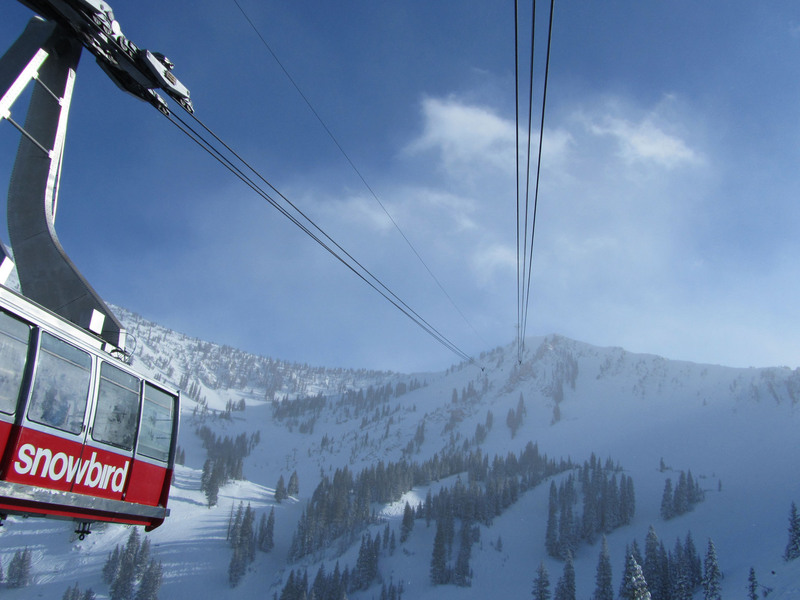 Snowbird is just 29-miles from Salt Lake City, with convenient shuttles from the airport into Little Cottonwood Canyon and The Cliff Lodge – so you can fly and ski the same day. Leave the driving to them, and focus on skiing and enjoying the Utah scene. 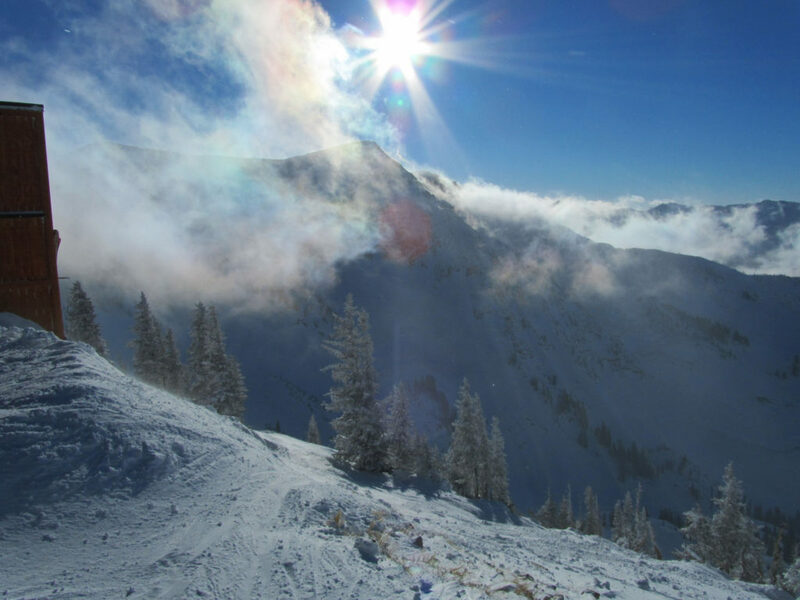 We say Snowbird’s Cliff Lodge and Spa is the best for a luxury ski vacation in Utah. We also recommend all-inclusive ski and stay and dine packages at The Rustler Lodge at Alta next door. 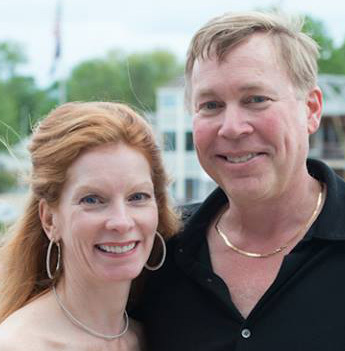 See our Utah luxury ski reviews of Alta and Deer Valley too.